This article is about the film franchise released between 2012 to 2014. For other films based on The Hobbit, see Middle-earth in film. 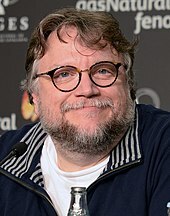 The screenplay was written by Fran Walsh, Philippa Boyens, Jackson, and Guillermo del Toro, who was originally chosen to direct before his departure from the project. The films take place in the fictional world of Middle-earth sixty years before the beginning of The Lord of the Rings, and follow hobbit Bilbo Baggins (Martin Freeman), who is convinced by the wizard Gandalf the Grey (Ian McKellen) to accompany thirteen dwarves, led by Thorin Oakenshield (Richard Armitage), on a quest to reclaim the Lonely Mountain from the dragon Smaug (voiced by Benedict Cumberbatch). The films also expand upon certain elements from the novel and other source material, such as Gandalf's investigation at Dol Guldur, and the pursuit of Azog and Bolg, who seek vengeance against Thorin and his kindred. The films feature an ensemble cast that also includes James Nesbitt, Ken Stott, Evangeline Lilly, Lee Pace and Luke Evans, with several actors reprising their roles from The Lord of the Rings, including Cate Blanchett, Orlando Bloom, Ian Holm, Christopher Lee, Hugo Weaving, Elijah Wood, and Andy Serkis. The films also feature Manu Bennett, Sylvester McCoy, Stephen Fry, Mikael Persbrandt, Barry Humphries, and Lawrence Makoare. Also returning for production, among others, were illustrators John Howe and Alan Lee, art director Dan Hennah, cinematographer Andrew Lesnie, and composer Howard Shore, while props were again crafted by Weta Workshop, with visual effects managed by Weta Digital. The first film in the series premiered at the Embassy Theatre in Wellington, New Zealand on 28 November 2012. One hundred thousand people lined the red carpet on Courtenay Place, and the entire event was broadcast live on television in New Zealand and streamed over the Internet. The second film of the series premiered at the Dolby Theatre in Los Angeles, California on 2 December 2013. The third and final film premiered at the Odeon Leicester Square in London on 1 December 2014. The series was one of the highest-grossing film series of all time, and earned more money than The Lord of the Rings trilogy. Although critically considered to be inferior to The Lord of the Rings, it was nominated for various awards and won several, though not as many as its predecessor series. Jackson and Walsh originally expressed interest in filming The Hobbit in 1995, then envisaging it as part one of a trilogy (part two would have been based on The Lord of the Rings). Frustration arose when Jackson's producer, Harvey Weinstein, discovered that Saul Zaentz had production rights to The Hobbit, but that distribution rights still belonged to United Artists (which had kept those rights, believing that filmmakers would prefer to adapt The Hobbit rather than The Lord of the Rings). The United Artists studio and its parent corporation Metro-Goldwyn-Mayer was for sale in 2005, but Weinstein's attempts to buy the movie rights from the studio were unsuccessful. Weinstein asked Jackson to press on with adapting The Lord of the Rings. Ultimately, The Lord of the Rings was produced by New Line Cinema, not the Weinsteins, and their rights to film The Hobbit were set to expire in 2010. In September 2006, the new ownership and management of Metro-Goldwyn-Mayer expressed interest in teaming up with New Line and Jackson to make The Hobbit. In March 2005, Jackson launched a lawsuit against New Line, claiming he had lost revenue from merchandising, video and computer games releases associated with The Fellowship of the Ring. He did not seek a specific settlement, but requested an audit to see whether New Line had withheld money owed him. Although Jackson wanted it settled before he would make the film, he felt the lawsuit was minor and that New Line would still let him make The Hobbit. New Line co-founder Robert Shaye was annoyed with the lawsuit and said in January 2007 that Jackson would never again direct a film for New Line, accusing him of being greedy. MGM boss Harry Sloan halted development, as he wanted Jackson to be involved. By August, after a string of flops, Shaye tried to repair his relationship with the director. He said, "I really respect and admire Peter and would love for him to be creatively involved in some way in The Hobbit." The following month, New Line was fined $125,000 for failing to provide requested accounting documents. On 16 December 2007, New Line and MGM announced that Jackson would be executive producer of The Hobbit and its sequel. The two studios would co-finance the film and the latter studio (via 20th Century Fox) would distribute the film outside North America—New Line's first ever such deal with another major studio. Each film's budget was estimated at US$150 million, which compares to the US$94 million budget for each of the films in Jackson's Lord of the Rings trilogy. After completion of the merger of New Line Cinema with Warner Bros. in February 2008, the two parts were announced as scheduled for release in December 2011 and 2012. Producer Mark Ordesky, the executive producer of The Lord of the Rings, planned to return to supervise the prequels. Jackson explained he chose not to direct because it would have been unsatisfying to compete with his previous films. In February 2008, the Tolkien Estate (through The Tolkien Trust, a British charity) and HarperCollins Publishers filed a suit against New Line for breach of contract and fraud and demanded $220 million in compensation for The Lord of the Rings trilogy. The suit claimed New Line had only paid the Estate an upfront fee of $62,500, despite the trilogy's gross of an estimated $6 billion worldwide from box office receipts and merchandise sales. The suit claimed the Estate was entitled to 7.5% of all profits made by any Tolkien films, as established by prior deals. The suit also sought to block the filming of The Hobbit. The suit was settled in September 2009 for an undisclosed amount. However the Tolkien Trust's 2009 accounts show that it received a payment from New Line Cinema of £24 million, (a little over US$38 million). This amount was the Trust's estimated share in respect of the gross profit participation due for the films based on "The Lord of the Rings".Christopher Tolkien said: "The trustees regret that legal action was necessary but are glad that this dispute has been settled on satisfactory terms that will allow the Tolkien Trust properly to pursue its charitable objectives. The trustees acknowledge that New Line may now proceed with its proposed film of The Hobbit." Despite the legal suits, development proceeded and in April 2008, Guillermo del Toro was hired to direct the film. Del Toro has said he was a fan of Jackson's trilogy and had discussed directing a film adaptation of Halo with him in 2005. Though that project stalled, they kept in contact. In a 2006 interview, del Toro was quoted saying "I don't like little guys and dragons, hairy feet, hobbits .... I don't like sword and sorcery, I hate all that stuff". After he signed on to direct in April 2008, Del Toro posted on TheOneRing.net forums that he had been enchanted by The Hobbit as a child, but found that Tolkien's other books "contain[ed] geography and genealogy too complex for my prepubescent brain". In taking the job of director, del Toro was now "reading like a madman to catch up with a whole new land, a continent of sorts—a cosmology created by brilliant philologist turned Shaman". He also posted that his appreciation of Tolkien was enhanced by his knowledge of the fantasy genre and the folklore research he had undertaken while making his own fantasy films. Pre-production began around August 2008, with del Toro, Jackson, Walsh and Philippa Boyens writing the scripts. Del Toro collaborated with Jackson, Walsh and Boyens via videoconferencing and flew every three weeks, back and forth from Los Angeles (where some of the designs were done) to New Zealand to visit them. Del Toro spent his mornings writing and afternoons looking at material related to Tolkien to help him understand the writer's work. He watched World War I documentaries and asked for book recommendations from Jackson, who is a collector of World War I memorabilia. Del Toro felt Tolkien's experiences in that war influenced his stories. By November 2008, del Toro had said that he, Jackson, Walsh and Boyens would realise something new about the story every week and the script was continually changing. The writing hours increased to twelve each day, as they dedicated three weeks to finally deciding the films' structures. During the first few months of 2009, writing would start from 8:30 am and end at 3:00 pm when del Toro would meet with Weta (i.e., Weta Workshop and Weta Digital film effects companies). Completion of the story outlines and treatments ended in March 2009 and the studios approved the start of writing the screenplay. Filming was expected to take place throughout 2010 in New Zealand, with del Toro renovating the Hobbiton sets near Matamata. For his part, Jackson had kept the Rivendell scale model and the Bag End set (which he has used as a guest house) from the trilogy. During the middle of the shoot, there was expected to be a break which would have allowed del Toro to edit The Hobbit while sets would be altered for the second film. The director expected the shoot to last 370 days. Jackson revealed in late November 2009 that he anticipated that the script for The Hobbit would not be finished until the beginning of 2010, delaying the start of production until the middle of that summer (several months later than previously anticipated). The announcement created doubts about whether the film would make its previously-announced release dates of December 2011 and December 2012. Jackson reiterated that no casting decisions had been made. On 22 January 2010, Alan Horn said the first film would likely not be released until the fourth quarter of 2012. The first film will stand on its own and the second will be a transition and fusion with Peter's world. I plan to change and expand the visuals from Peter's and I know the world can be portrayed in a different way. Different is better for the first one. For the second, I have the responsibility of finding a slow progression and mimicking the style of Peter. Del Toro and Jackson had a positive working relationship, in which they compromised on disagreements for the benefit of the film. Del Toro believed he would be able to shoot the film himself, although Jackson noted he had similar hopes for filming all of his trilogy and offered to help as second unit director. Del Toro planned on shooting the film in the trilogy's 2.35:1 aspect ratio, rather than his signature 1.85:1 ratio. He hoped to collaborate again with cinematographer Guillermo Navarro. Del Toro shares Jackson's passion for scale models and background paintings, though he wanted to increase the use of animatronics; "We really want to take the state-of-the-art animatronics and take a leap ten years into the future with the technology we will develop for the creatures in the movie. We have every intention to do for animatronics and special effects what the other films did for virtual reality." Spectral Motion (Hellboy, Fantastic Four) was among those del Toro wanted to work with again. Some characters would have been created by mixing computer-generated imagery with animatronics and some would have been created solely with animatronics or animation. Gollum would be entirely digital again; as del Toro noted, "if it ain't broke, why fix it?" Del Toro said that he interpreted The Hobbit as being set in a "world that is slightly more golden at the beginning, a very innocent environment", and that the film would need to "[take] you from a time of more purity to a darker reality throughout the film, but [in a manner] in the spirit of the book". He perceived the main themes as loss of innocence, which he likened to the experience of England after World War I, and greed, which he said Smaug and Thorin Oakenshield represent. Bilbo Baggins reaffirms his personal morality during the story's third act as he encounters Smaug and the Dwarves' greed. He added, "The humble, sort of a sturdy moral fibre that Bilbo has very much represents the idea that Tolkien had about the little English man, the average English man", and the relationship between Bilbo and Thorin would be the heart of the film. The Elves will also be less solemn. Del Toro met concept artists John Howe and Alan Lee, Weta Workshop head Richard Taylor, and make-up artist Gino Acevedo in order to keep continuity with the previous films, and he also hired comic book artists to complement Howe's and Lee's style on the trilogy, including Mike Mignola and Wayne Barlowe, who began work around April 2009. He has also considered looking at Tolkien's drawings and using elements of those not used in the trilogy. As Tolkien did not originally intend for the magic ring Bilbo finds to be the all-powerful talisman of evil it is revealed to be in The Lord of the Rings, del Toro said he would address its different nature in the story, but not so much as to draw away from the story's spirit. Each Dwarf would need to look different from the others. Del Toro would have redesigned the Goblins and Wargs and the Mirkwood spiders would also have looked different from Shelob. Del Toro felt the Wargs had to be changed because "the classical incarnation of the demonic wolf in Nordic mythology is not a hyena-shaped creature". Del Toro also wanted the animals to speak so that Smaug's speech would not be incongruous, though he explained portraying the talking animals would be more about showing that other characters can understand them. Smaug would not have a "snub Simian [mouth] in order to achieve a dubious lip-synch". Del Toro stated that Smaug would be the first character design begun and the last to be approved. Del Toro and Jackson considered the sudden introduction of Bard the Bowman and Bilbo's unconsciousness during the Battle of the Five Armies to be "less cinematic moments" reminiscent of the novel's greater "fairy tale world" than The Lord of the Rings, and they would change them to make The Hobbit feel more like the trilogy. However, del Toro did say he considered some of these moments iconic and would require the "fairy tale logic [to] work as is". Several actors were considered by del Toro for roles in the film. He wrote the part of Beorn specifically for American actor Ron Perlman. Del Toro had originally considered asking Perlman to voice the dragon Smaug, but decided against this. Del Toro met with English actor Brian Blessed to discuss the possibility of him playing Thorin Oakenshield. The director later stated that he thought Ian McShane "would make the most perfect dwarf". Frequent del Toro collaborator Doug Jones said that he would love to play the Elvenking Thranduil, but del Toro later stated that he had another role (or roles) in mind for the actor. Del Toro was the one who originally pushed to cast Sylvester McCoy as Radagast the Brown, a choice Peter Jackson later followed. While del Toro initially wanted Ian Holm to reprise the role of Bilbo Baggins, he also said that he "absolutely" supported the casting of Martin Freeman as the character, and wanted all other returning Lord of the Rings characters to be played by the original actors where possible. In December 2012, Philippa Boyens expressed regret that del Toro's version of the film remained unmade. She revealed that it would have had a different script and visual elements, and would more closely have resembled a fairy tale. Boyens stated that the most significant script change was to Bilbo's characterisation: "It shifted and changed into someone who, rather than being slightly younger and more innocent in the world, once had a sense of longing for adventure and has lost it and become fussy and fusty." In 2010, del Toro left the project because of ongoing delays. On 28 May he explained at a press conference that owing to MGM's financial troubles the Hobbit project had then not been officially green-lit at the time. "There cannot be any start dates until the MGM situation gets resolved .... We have designed all the creatures. We've designed the sets and the wardrobe. We have done animatics and planned very lengthy action sequences. We have scary sequences and funny sequences and we are very, very prepared for when it's finally triggered, but we don't know anything until MGM is solved." Two days later, del Toro announced at TheOneRing.net that "In light of ongoing delays in the setting of a start date for filming", he would "take leave from helming", further stating that "the mounting pressures of conflicting schedules have overwhelmed the time slot originally allocated for the project. ... I remain an ally to it and its makers, present and future, and fully support a smooth transition to a new director". Reports began to surface around the Internet about possible directors; apparently the studios wanted Jackson, but such names as Neill Blomkamp, Brett Ratner, David Yates and David Dobkin were mentioned. However, this incident received negative reaction from many Hobbit fans, who were angry at MGM for delaying the project. They also tried willing the studio to sell their rights to Warner Bros. On 27 July, del Toro responded to these angry fans, saying that "it wasn't just MGM. These are very complicated movies, economically and politically." On 25 June 2010, Jackson was reported to be in negotiations to direct the two-part film. On 15 October 2010, New Line Cinema and Warner Bros. confirmed that The Hobbit was to proceed filming with Jackson as director and that the film would be in 3D. As well as confirming Jackson as director, the film was reported to be greenlit, with principal photography to begin in February 2011. Jackson stated that "Exploring Tolkien's Middle-earth goes way beyond a normal film-making experience. It's an all-immersive journey into a very special place of imagination, beauty and drama." On 24 September 2010, the International Federation of Actors issued a Do Not Work order, advising members of its member unions (including the Screen Actors Guild) that "The producers ... have refused to engage performers on union-negotiated agreements." This would subject actors who work on the film to possible expulsion from the union. In response, Warner Bros. and New Line Cinema considered taking the production elsewhere, with Jackson mentioning the possibility of filming in Eastern Europe. Partly out of fear for the Tolkien tourism effect, on 25 October 2010, thousands of New Zealanders organised protest rallies imploring that production remain in New Zealand, arguing that shifting production to locations outside New Zealand would potentially cost the country's economy up to $1.5 billion. After two days of talks with the New Zealand government (including involvement by Prime Minister John Key), Warner Bros. executives decided on 27 October to film The Hobbit in New Zealand as originally planned. In return, the government agreed to introduce legislation to remove the right of workers to organise trade unions in the film production industry and to give money to big budget films made in New Zealand. The legislation reversed a decision by the New Zealand Supreme Court called Bryson v Three Foot Six Ltd holding that under the Employment Relations Act 2000, a model maker named Mr Bryson was an "employee" who could organise a union to defend his interests. The Employment Relations (Film Production Work) Amendment Bill passed all three readings under urgency on 29 October 2010, 66 votes in favour to 50 opposed. The government's legislation has been criticised as breaching the International Labour Organization's core ILO Convention 87 on freedom of association, and giving an unfair subsidy to protect multinational business interests. Some have subsequently called the price (further financial subsidies and specific laws made for the producers' benefit) that New Zealand had to pay to retain the movie 'extortionate'. It was also argued that the discussion had occurred in a climate of 'hyperbole and hysteria'. In February 2013, emails and documents released under orders of the Ombudsman showed that the union representing actors had already reached an agreement with Warner two days before 20 October protest, but Warner refused to confirm the deal publicly. One union representative said those on the march were 'patsies' that had been fooled into thinking the production would be taken offshore. Further emails released showed Government ministers knew a deal had been reached a week before the protest, despite claiming negotiations were still happening. The project had been envisaged as two parts since 2006, but the proposed contents of the parts changed during development. MGM expressed interest in a second film in 2006, set between The Hobbit and The Lord of the Rings. Jackson concurred, stating that "one of the drawbacks of The Hobbit is it's relatively lightweight compared to LOTR [The Lord of the Rings] .... There's a lot of sections in which a character like Gandalf disappears for a while – he references going off to meet with the White Council, who are actually characters like Galadriel and Saruman and people that we see in Lord of the Rings. He mysteriously vanishes for a while and then comes back, but we don't really know what goes on." Jackson was also interested in showing Gollum's journey to Mordor and Aragorn setting a watch on the Shire. when you lay out the cards fro [sic] the story beats contained within the book (before even considering any apendix [sic] material) the work is enormous and encompasses more than one film. That's why we are thinking of the two instalments as parts of a single narrative. That's why I keep putting down the use of a "bridge" film (posited initially). I think the concept as such is not relevant any more. I believe that the narrative and characters are rich enough to fit in two films. Del Toro said that he was faced with two possible places to split the story, including Smaug's defeat. He noted the second film would need to end by leading directly into The Fellowship of the Ring. In June 2009, del Toro revealed he had decided where to divide the story based on comments from fans about signifying a change in Bilbo's relationship with the dwarves. The second film's story would also have depended on how many actors could have reprised their roles. Although The Hobbit was originally made as a two-part film, on 30 July 2012, Jackson confirmed plans for a third film, turning his adaptation of The Hobbit into a trilogy. According to Jackson, the third film would make extensive use of the appendices that Tolkien wrote to expand the story of Middle-Earth (published in the back of The Return of the King). While the third film, which as its title indicates, depicts the Battle of the Five Armies, largely made use of footage originally shot for the first and second films, it required additional filming as well. The second film was retitled The Desolation of Smaug and the third film was titled There and Back Again in August 2012. On 24 April 2014, the third film was renamed The Battle of the Five Armies. On the title change, Jackson said, "There and Back Again felt like the right name for the second of a two film telling of the quest to reclaim Erebor, when Bilbo's arrival there, and departure, were both contained within the second film. But with three movies, it suddenly felt misplaced—after all, Bilbo has already arrived "there" in the Desolation of Smaug". Shaun Gunner, the chairman of The Tolkien Society, supported the decision: "‘The Battle of the Five Armies’ much better captures the focus of the film but also more accurately channels the essence of the story." The following is a list of cast members who voiced or portrayed characters appearing in The Hobbit films. Martin Freeman was cast as the titular character. In early October 2010, it was confirmed by the studio that Martin Freeman had been cast in the role of Bilbo Baggins. It was revealed that he had earlier been approached by the producers to play a role in the films, but was forced to turn it down because of scheduling conflicts with the BBC television series Sherlock. At the time, Freeman was quoted as saying, "[I]f something could be worked out, that would be great. I did it [turned down the role] with a heavy heart, definitely." On his casting, Peter Jackson was quoted as saying, "Despite the various rumours and speculation surrounding this role, there has only ever been one Bilbo Baggins for us. There are a few times in your career when you come across an actor who you know was born to play a role, but that was the case as soon as I met Martin Freeman. He is intelligent, funny, surprising and brave—exactly like Bilbo and I feel incredibly proud to be able to announce that he is our Hobbit." Later in October, it was revealed that several other cast members had joined the project, including Richard Armitage as Thorin Oakenshield, Graham McTavish as Dwalin, Aidan Turner as Kíli, Mark Hadlow as Dori, John Callen as Óin, Stephen Hunter as Bombur and Peter Hambleton as Glóin. On the casting of Armitage, Jackson was quoted as saying, "Richard is one of the most exciting and dynamic actors working on screen today and we know he is going to make an amazing Thorin Oakenshield. We cannot wait to start this adventure with him and feel very lucky that one of the most beloved characters in Middle Earth is in such good hands." McTavish was quoted on his casting, "I think that I would be very lucky indeed if ever again in my career, I was offered an opportunity that was going to be so iconic in its influence and scale with regards to The Hobbit. I can't think of anything comparable." Following McTavish's casting, scheduling conflicts arose while he was working on Uncharted 3: Drake's Deception, resulting in the game's storyline being modified so that McTavish could go to New Zealand to work on the film. On the casting of Turner, Jackson stated, "Aidan is a wonderfully gifted young actor who hails from Ireland. I'm sure he will bring enormous heart and humor to the role of Kíli." On the casting of Hadlow, Jackson said, "I have worked with Mark Hadlow on many projects [Meet the Feebles and King Kong]; he is a fantastic actor. I am thrilled to be working with [him] on these movies." Hadlow also plays Bert the Stone-troll. On his casting Callen stated, "I did wonder about my casting and how they had made the choice—maybe the long hair and the beard sold it, I thought. But now that has all gone. Given that Óin is almost 200 years old I can presume only that it was the age." On being cast in the role, Hunter said, "Being cast in The Hobbit is really exciting and really an honour. I auditioned for the original Lord of the Rings way back when I signed with my agent in New Zealand. When I saw the films I thought, 'Man, I so want to do The Hobbit.'" On 1 November 2010, Jackson confirmed that James Nesbitt and Adam Brown had been added to the cast to play Bofur and Ori respectively. It was previously reported that Nesbitt was in negotiations for a part in the film. Jackson was quoted on Nesbitt's casting as saying, "James's charm, warmth and wit are legendary as is his range as an actor in both comedic and dramatic roles. We feel very lucky to be able to welcome him as one of our cast." Nesbitt's daughters also appear in the film series as Sigrid and Tilda, the daughters of Bard the Bowman. Commenting on Brown's casting, Jackson was quoted as saying, "Adam is a wonderfully expressive actor and has a unique screen presence. I look forward to seeing him bring Ori to life." The role also marked Brown's first film appearance. On 7 December 2010, it was revealed that several other cast members had joined the project, including Cate Blanchett as Galadriel, Sylvester McCoy as Radagast the Brown, Mikael Persbrandt as Beorn, William Kircher as Bifur, Ken Stott as Balin and Jed Brophy as Nori. Blanchett was the first returning cast member from The Lord of the Rings film trilogy to be cast in the films, even though her character does not appear in the novel. On her casting, Jackson said, "Cate is one of my favorite actors to work with and I couldn't be more thrilled to have her reprise the role she so beautifully brought to life in the earlier films." McCoy, the former Doctor Who star, who appeared alongside McKellen in a Royal Shakespeare Company's King Lear, was confirmed to be in negotiations to play a major role as a "wizard" in October 2010, leading to speculation he could appear as Radagast the Brown. During the production of The Lord of the Rings film trilogy, McCoy had been contacted about playing the role of Bilbo and was kept in place as a potential Bilbo for six months before Jackson went with Ian Holm. On the casting of Persbrandt, Jackson was quoted as saying, "The role of Beorn is an iconic one and Mikael was our first choice for the part. Since seeing him read for the role we can't imagine anyone else playing this character." On the casting of Stott, Jackson commented "Fran and I have long been fans of Ken's work and are excited he will be joining us on this journey." The casting of Brophy came after his collaboration with Jackson on several films, including Braindead, Heavenly Creatures, and all three Lord of the Rings films as various creatures. On 7 January 2011, TheOneRing.net confirmed that Elijah Wood had joined the cast to reprise his role of Frodo Baggins in the project. As Frodo hadn't been born during the events of The Hobbit, the inclusion of Frodo indicated that parts of the story would take place shortly before or during the events of The Lord of the Rings. According to TheOneRing.net, "As readers of 'The Hobbit' know, the tale of 'The Downfall of The Lord of the Rings' and 'The Hobbit or There and Back Again,' are contained in the fictional 'Red Book of Westmarch.' In Peter Jackson's LOTR films, the book is shown on screen and written in by Bilbo and Frodo and handed off to Samwise Gamgee .... The fictional book and either the telling from it or the reading of it, will establish Frodo in the film experiencing Bilbo's story. Viewers are to learn the tale of 'The Hobbit' as a familiar Frodo gets the tale as well." On 10 January 2011, it was confirmed that Ian McKellen and Andy Serkis would reprise their respective roles of Gandalf the Grey and Gollum from The Lord of the Rings film trilogy. 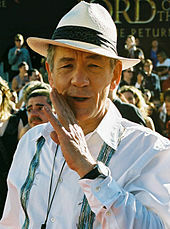 Although both actors were expected to return for their roles McKellen was previously quoted in July 2010 on TVNZ's Good Morning that: "I'm not under contract and my time is running out. I don't want to give the producers the impression that I'm sitting waiting." It was later revealed that Serkis would also serve as second unit director on the films. Serkis stated, "I think I understand Peter's sensibility and we have a common history of understanding Middle-earth. A lot of the crew from The Lord of the Rings was returning to work on The Hobbit. There is really a sense of Peter wanting people around him who totally understand the material and the work ethic." On 11 January 2011, it was confirmed that Christopher Lee would reprise his role as Saruman the White. Lee had originally said he would have liked to have shown how Saruman is first corrupted by Sauron, but would not be comfortable flying to New Zealand at his age. Lee went on to say that if a film were made, he would love to voice Smaug, as it would mean he could record his part in England and not have to travel. On 10 January 2011, it was reported that Lee had entered into negotiations to reprise the role of Saruman. On 21 March 2011, Jeffrey Thomas joined the project as the character of Thrór, as did Mike Mizrahi as Thráin II. On 4 April 2011, Bret McKenzie was added to the cast as Lindir. His father Peter McKenzie played the role of Elendil in The Lord of the Rings. On 22 April 2011, Jackson confirmed via Facebook that Ian Holm had been added to the cast as old Bilbo Baggins. During the early stages of pre-production, former director Guillermo del Toro indicated that he was interested in having Holm reprise the role of Bilbo, but acknowledged that he might be too old to take on such a physically demanding role. On his potential casting, del Toro stated, "[Holm] certainly is the paragon we aspire to. He will be involved in some manner, I'm sure." He also indicated that he was open to the possibility of Holm narrating the films. On 10 January 2011, Deadline Hollywood reported that Holm had entered into negotiations to play the older Bilbo. On 3 March 2011, Holm revealed that he had been in talks with the producers about reprising the role, but that he had not heard back from them yet. In the early stages of production, the role of Thranduil had been linked to actor Doug Jones but on 29 April 2011, Jackson reported on Facebook that the role had gone to Lee Pace. On his casting, Jackson said, "Casting these Tolkien stories is very difficult, especially the Elven characters and Lee has always been our first choice for Thranduil. He's going to be great. We loved his performance in a movie called The Fall a few years ago and have been hoping to work with him since. When we were first discussing who would be right for Thranduil, Lee came into mind almost immediately." On 30 April 2011, Jackson announced that Dean O'Gorman had been hired for the role of Fíli. Jackson stated, "Dean's a terrific Kiwi actor, who I am thrilled to be working with." O'Gorman was a last minute replacement for Rob Kazinsky had originally been cast for the role in October 2010, but left the film on 24 April 2011 "for personal reasons". Hugo Weaving's return to the role of Elrond was officially confirmed on 1 May 2011. Benedict Cumberbatch, the dragon Smaug and The Necromancer. On 19 May 2011, Stephen Fry and Ryan Gage were confirmed to join the project as Master of Lake-town and Alfrid respectively. Fry spoke of his role, saying "My character is an opportunity for sheer grossness .... [Peter Jackson] had me eating testicles ... gross appetites. I mustn't give too much away but I've got a bald cap and then on top of that a really bad combover wig and this wispy mustache and wispy beard and horrible blotchy skin and disgusting fingernails .... And generally speaking a really unappetising piece of work. And a coward to boot and very, very greedy." Gage was originally cast to play Drogo Baggins in December 2010, though according to Jackson, "Ryan is a great young actor who we originally cast in a small role, but we liked him so much, we promoted him to the much larger Alfrid part". On 27 May 2011, Peter Jackson announced via Facebook that Orlando Bloom would reprise his role as Legolas. Bloom revealed on 25 April 2011 that he had been in contact with Jackson, who had given him a copy of the screenplay and said that there was a high probability that he would return. He was quoted as saying, "I'm going to bet on it .... But I can't really talk too much about it because it's still sort of in the ether. But I would love to go back to work with Peter Jackson. It would be an honour." 19 June 2011, it was revealed that several other cast members had joined the project, including Luke Evans in the role of Bard the Bowman, Evangeline Lilly as Tauriel, Barry Humphries as the Great Goblin and Benedict Cumberbatch as Smaug and The Necromancer. Cumberbatch portrayed both of his roles through motion capture, as did Humphries for his character. The casting of Cumberbatch was prematurely revealed by his Sherlock co-star Martin Freeman during the BAFTA Television Awards in May 2011. Speculations of his undisclosed role were further fuelled when Ian McKellen wrote on his blog that Philippa Boyens showed him Cumberbatch's screen test, stating that it was "electrifying, vocally and facially". Peter Jackson finally revealed on his Facebook page that Cumberbatch was set to play Smaug. Following this, it was also confirmed that he would be portraying The Necromancer as well. Billy Connolly joined the cast as Dáin II Ironfoot on 9 February 2012. Connolly said of his character "... this guy will terrify the life out of you. I have a mohawk and tattoos on my head." In addition, John Bell plays Bain, Manu Bennett plays Azog, Craig Hall plays Galion, Ben Mitchell plays Narzug, John Rawls plays Yazneg, Stephen Ure plays Fimbul and Grinnah, Kiran Shah plays a goblin scribe, and Stephen Colbert was cast in an undisclosed cameo. Conan Stevens was to play Bolg, but he eventually played a Gundabad Orc, also known as Keeper of Dungeons. Principal photography began on 21 March 2011 in Wellington, New Zealand. Filming took place at Wellington Stone Street Studios, the town of Matamata and at other undisclosed locations around New Zealand. The costumes for each of the Dwarves included six wigs and eight beards, which were worn by the actors, stunt doubles, and stand-ins. During July 2011, scenes from The Hobbit were filmed at Pinewood Studios, England. Sets were constructed on the F Stage and N&P Stages for the shoot. Jackson recorded a video blog from the set, which featured Christopher Lee in full makeup and costume as Saruman. The second block of shooting in New Zealand began at the end of August and was completed in December 2011. Principal photography ended on 6 July 2012, after 266 days of filming. During May 2013, additional filming for the second and third films began in New Zealand and lasted for 10 weeks. The films were filmed in 3D using Red Epic cameras. According to a production diary video, 48 Epic cameras were used during the film's production. The production employed a specialty rig designed by 3ality Technica, using two cameras and a mirror in order to achieve an intraocular effect similar to that of human sight (the distance between the eyes). This is how the depth required for 3D film is achieved. In April 2011, Jackson revealed through his Facebook page that he would film The Hobbit at 48 fps (frames per second) instead of the normal 24 fps. Additionally, the films were filmed at a 5K resolution, native to the Red Epic cameras, which provides a more detailed picture than the conventional 4K resolution. The films were recorded digitally onto 128 GB solid-state drives that fit into the Red Epic camera. The music of The Hobbit film series was composed, produced and (in the case of the first film) orchestrated and conducted by Howard Shore, who scored all three The Lord of the Rings films. Recording sessions for the first film began on 20 August 2012, at Abbey Road Studios. The second and third films were recorded in New Zealand. Unlike with the Lord of the Rings, which only received an expanded release after 2005, each Hobbit soundtrack was released in a two-CD, two-hour release. The music features 64-70 new leitmotives, about 40 leitmotives returning from The Lord of the Rings, and a variety of non-orchestral instruments, including bagpipes, didgeridoos and a whole Gamelan orchestra. The score for An Unexpected Journey was primarily played by the London Philharmonic Orchestra (as it was for The Lord of the Rings), London Voices and Tiffin' Boys choir, although Jackson and Shore chose the New Zealand Symphony Orchestra (which participated in scoring a large section of the Fellowship of the Ring) to score The Desolation of Smaug and The Battle of the Five Armies. Additional musicians, including two gamelan orchestras, and the London Voices and Tiffin' boys choir, augmented the orchestra. Musicians Neil Finn and Ed Sheeran contributed to the score as well as some actors including Richard Armitage and the cast of dwarves, James Nesbitt and Barry Humphries (in the extended edition). Clara Sanabras and Grace Davidson sang the soprano parts. 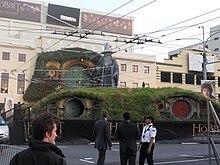 The world premiere for The Hobbit: An Unexpected Journey took place on 28 November 2012 in Wellington, New Zealand, with the film's wide release in New Zealand on 12 December. 100,000 people lined the red carpet on Wellington's Courtenay Place for the premiere. The entire event was also broadcast live on TV3 (New Zealand), and streamed over the Internet. Tickets to the film's midnight screenings in New Zealand sold out within minutes of going on sale, prompting director Peter Jackson to say that the fans who missed out "may get something special" which could include getting to see the film "possibly even a minute or two before anyone else". The film was released on 13 December 2012 in the United Kingdom and 14 December 2012 for some other parts of the world. It has a runtime of 169 minutes (2 hours and 49 minutes). The film grossed over $1 billion at the box office, surpassing both The Fellowship of the Ring and The Two Towers nominally. The Hobbit: The Desolation of Smaug premiered on 2 December 2013 in Los Angeles, and was released internationally from 11 December 2013. It grossed over $958 million in box office worldwide. Like the previous installment, it surpassed both The Fellowship of the Ring and The Two Towers in nominal box office performance. The final film The Hobbit: The Battle of the Five Armies premiered on 11 December 2014 in London, and was released internationally from 12 December 2014. The release for the third film was originally set for an 18 July 2014 release, but was pushed back when X-Men: Days of Future Past, was announced to be released on the same date, as direct competition to the third installment. It grossed over $956 million in worldwide level in box office, and as the previous two films, it surpassed both The Fellowship of the Ring and The Two Towers nominally, although it didn't manage to surpass the previous two films of the series. 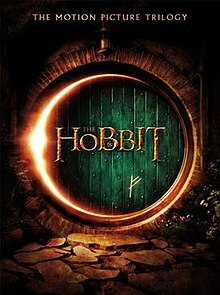 The Hobbit: An Unexpected Journey was released on 3D Blu-ray, Blu-ray and DVD in United States on 19 March 2013, and was released in the United Kingdom on 8 April 2013. As of 7 July 2013, DVD/Blu-ray sales in the United States were reported to be around $29,527,413, with almost 3 million units sold. An Extended Edition containing 13 minutes of additional footage and original music was released on 3D Blu-ray, DVD and Blu-ray on 5 November 2013 in the US, and on 11 November 2013 in the UK. The Hobbit: The Desolation of Smaug was released on DVD, 3D Blu-ray and Blu-ray on 7 April 2014 in the United Kingdom and on 8 April 2014 in the United States. An Extended Edition containing 25 minutes of additional footage and original music was released on 3 November 2014 in the UK, and on 4 November 2014 in the US. The Hobbit: The Battle of The Five Armies was released on 3D Blu-ray, Blu-ray and DVD on 23 March 2015 in the United Kingdom and on 24 March in the United States. An Extended Edition of the film containing 20 minutes of additional footage and original music was released on 17 November 2015 in the United States and on 23 November in the United Kingdom. An Unexpected Journey has won the "Technical Achievement" award by the Houston Film Critics Society, who also nominated it for "Best Original Song", the award for "Outstanding Virtual Cinematography" by the Visual Effects Society, and the Empire Awards for "Best Actor" and "Best Sci-Fi/Fantasy". Among others, the film has also received three Academy Award nominations, a nomination from the Washington D.C. Area Film Critics Association, four nominations from the Broadcast Film Critics Association, six nominations from the Visual Effects Society, and three nominations from the Phoenix Film Critics Society. At an industry event screening in April 2012, Peter Jackson showed a ten-minute clip of the film, and the new High Frame Rate 48 fps format received "an underwhelming reaction at best", while Variety stated that the footage "looked distinctively sharper and more immediate than everything shown before it, giving the 3D smoother movement and crisp sharpness". It also reported that it lost "the cinematic glow of the industry-standard 24 fps" and that "human actors seemed overlit and amplified in a way that many compared to modern sports broadcasts ... and daytime television". One projectionist complained that "it looked like a made-for-TV movie". 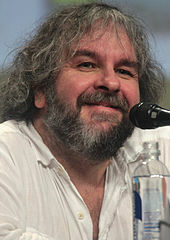 Peter Jackson claimed that the poor reception "wasn't particularly surprising" because "it does take you a while to get used to it. Ten minutes is sort of marginal, it probably needed a little bit more". However, once the entire film was released, many critics retained their complaints. While many noted the clarity and immediacy of the action scenes, they also criticised the picture quality as "hyper-real," clear enough to detect "painted sets" and "prosthetic noses". Some critics did respond positively to the overall effect of the higher frame rate, saying it just takes a while to get used to – still allowing that the extra clarity can make some scenes look like "actors on a set rather than a scene in a movie". The Hobbit: An Unexpected Journey was also released in the current 24 fps standard in many theatres, some of which had not yet switched from film to digital projection. On 6 October 2011, Warner Bros. Consumer Products and U.S. toy company The Bridge Direct announced their partnership on worldwide master toy rights for The Hobbit films. The toy line will include action figures, playsets and role-play accessories like swords and battle axes representing the characters and weapons in the films. The first wave of toy products hit store shelves in October 2012, ahead of the release of The Hobbit: An Unexpected Journey. U.S. retailers that carry the toy line include Toys "R" Us, Kmart, and Walmart. Games Workshop released miniatures from The Hobbit as part of The Lord of the Rings Strategy Battle Game. The company has had rights to produce miniatures from the original book for some years but has not released any lines, save for a stand-alone game based on the Battle of Five Armies, with original designs not related to The Lord of the Rings films. While a number of companies were vying for The Hobbit deal, Warner Bros. Consumer Products awarded the license to Bridge Direct partly because some of its execs and staffers had worked on The Lord of the Rings toy line during their tenure at other toy companies, including Toy Biz and Play Along. The Bridge Direct, run by toy business veteran Jay Foreman, is best known for toys such as Inkoos activity plush, and the Zhu Zhu Pets plush line. On 16 December 2011, Warner Bros. Consumer Products and Lego announced the development of figures and play sets based on the upcoming adaptations of The Hobbit as well as The Lord of the Rings. The launch of the Lego The Hobbit: An Unexpected Journey was released to coincide with the release of the film adaptation's first part in December 2012. Following the expiration in 2008 of Electronic Arts' license to The Lord of the Rings, Warner Bros. Interactive Entertainment acquired the rights to develop a video game based on The Hobbit. When Guillermo del Toro was set to direct he had stated that a video game, if it were to be made, would not be released to tie-in with The Hobbit film, but rather after their release. Del Toro had stated that while he would like to be involved in the video game's creation, making it at the same time as the film would complicate things due to a "tight schedule". In October 2011, Warner Bros. confirmed that a Hobbit video game would be released in 2012, before the first film's release. However, the studio did not confirm whether or not the game would be a tie-in with the film. Warner Brothers developed two free-to-play online strategy games in collaboration with Kabam for promoting the film series which were The Hobbit: Kingdoms of Middle Earth released for Android and iOS on 8 November 2012 and The Hobbit: Armies of the Third Age playable online on web browsers and as a Facebook app that was released on 21 March 2013. Monolith Productions developed Guardians of Middle-earth, which was released on 4 December 2012 for PlayStation 3 via the PlayStation Network, and 5 December 2012 for Xbox 360 via Xbox Live Arcade. Guardians of Middle-earth delivers a multiplayer online battle arena (MOBA) game set in Middle-earth and crafted specifically for the console systems. Gamers can play in teams of up to 10 players in strategic five versus five competitive multiplayer battle arenas in the epic setting of Middle-earth. Players can develop and master more than 20 guardians, including Gandalf, Sauron, Gollum and many more, forming memorable and unlikely alliances with and against friends. Gamers can connect via an in-game voice communication system, as well as access a comprehensive online stat and leader board system where they can track friends’ victories and defeats. The game featured tie-ins to the released The Hobbit: An Unexpected Journey motion picture which released on 14 December 2012. On 25 November, Warner Brothers confirmed Lego The Hobbit video game. The game's levels only took place in the first two films. The game was released 8 April 2014. Two video games were developed to coincide with the film's theatrical release. A tie-in fighting video game was released simultaneously with the film for Android and iOS platforms which received negative reviews from critics and users. Shadow of Mordor was a critically acclaimed Action-adventure video game released for Microsoft Windows, PlayStation 4 & Xbox One in October 2014 and for PlayStation 3 and Xbox 360 on 21 November, nearly a week prior to The Hobbit: The Battle of the Five Armies world premiere in London, on 1 December. The events of the game take place directly after Sauron fled to Mordor, escaping The White Council, which was shown at the beginning of the film. The game was planned to act as an overlap between The Hobbit and The Lord of the Rings. In January 2015 a fan going by the name of "TolkienEditor" recut the three Hobbit films into a single, four-and-a-half-hour film that removed much content that many fans had complained about. Much of this material was seen as superfluous, admittedly added by Jackson at the request of the studio, in order to make the films more appealing to a wider audience. This was quickly followed by several other fan made editions with different approaches and lengths. ^ Although the scene in Gollum's cave was shot in a studio in New Zealand, Harwoods Hole was used for the background shots. ^ a b Pip Bulbeck (21 October 2014). "'Hobbit' Trilogy Reportedly Cost $745 Million to Make". The Hollywood Reporter. Prometheus Global Media. Retrieved 9 December 2014. ^ a b Alex Garofalo (23 October 2014). "'The Hobbit' $745 Million Budget Released Before 'Battle Of The Five Armies' Premiere; How Does The Trilogy Rank Against Other Film Franchises?". International Business Times. IBT Media. Retrieved 9 December 2014. ^ a b Scott Mendelson (6 November 2014). "'The Hobbit: The Battle Of The Five Armies' Gets Unnecessary Final Trailer". Forbes. Retrieved 1 December 2014. ^ Child, Ben (24 April 2014). "Peter Jackson retitles The Hobbit part three The Battle of the Five Armies". The Guardian. Retrieved 24 April 2014. ^ "We've got you covered for 'The Hobbit: The Battle of the Five Armies' world premiere!". The One Ring. 1 December 2014. Retrieved 18 December 2014. ^ "The Hobbit: An Unexpected Journey". Rotten Tomatoes. Retrieved 12 October 2006. ^ "The Hobbit: The Desolation of Smaug". Rotten Tomatoes. Retrieved 12 October 2006. ^ "The Hobbit: The Battle of the Five Armies". Rotten Tomatoes. Retrieved 12 October 2006. ^ Sibley 2006, pp. 313–16. ^ Ambrose, Thomas ‘Tom’ (March 2009). "The Return of the Ring". Empire. p. 67. ^ Sibley 2006, pp. 323–25. ^ a b c d Svetkey, Benjamin (4 October 2007). "The Hobbit: Peace in Middle-Earth?". Entertainment Weekly. Retrieved 5 October 2007. ^ Stax (11 September 2006). "MGM Eyes Hobbit, T4". IGN. Retrieved 17 August 2007. ^ "Director sues over Rings profits". News. BBC. 2 March 2005. Retrieved 17 August 2007. ^ a b c Daly, Stephen ‘Steve’ (22 September 2006). "Action Jackson". Entertainment Weekly. Retrieved 5 October 2007. ^ "Jackson ruled out of Hobbit film". News. BBC. 11 January 2007. Retrieved 30 September 2008. ^ a b Hayes, Dade; McNary, Dave (28 February 2008). "New Line in Warner's corner". Variety. Retrieved 29 February 2008. ^ Goldstein, Patrick (10 August 2007). "The big picture: New Line's midlife crisis". Los Angeles Times. Archived from the original on 14 January 2009. Retrieved 17 August 2007. ^ Fleming, Michael (18 December 2007). "'Hobbit' back on track as twin bill". Variety. Retrieved 2 October 2008. ^ Thompson, Anne (6 March 2008). "Shaye kept New Line afloat". Variety. Retrieved 7 March 2008. ^ a b c d e f g h i j k "An Unexpected Party Chat transcript now available!". Weta Holics. 25 May 2008. Archived from the original on 30 July 2008. Retrieved 22 December 2014. ^ Dobuzinskis, Alex (8 September 2009). "Legal settlement clears way for "Hobbit" movie". Reuters. ^ "Legal path clear for Hobbit movie". News. BBC. 10 September 2009. ^ "Conversations: Guillermo del Toro". Salon.com. 12 October 2006. Retrieved 4 June 2008. ^ a b c d e "Guillermo del Toro Chats with TORN About The Hobbit Films!". TheOneRing.net. 25 April 2008. Retrieved 26 April 2008. ^ Sperling, Nicole (19 August 2008). "Peter Jackson, Fran Walsh, Philippa Boyens join Guillermo Del Toro penning The Hobbit". Entertainment Weekly. Archived from the original on 28 August 2008. Retrieved 20 August 2008. ^ Fleming, Michael (3 September 2008). "Guillermo Del Toro booked thru 2017". Variety. Retrieved 6 September 2008. ^ a b c Evry, Max (5 October 2008). "Guillermo del Toro on The Hobbit and Frankenstein". Coming Soon. Retrieved 5 October 2008. ^ Rotten, Ryan (12 November 2008). "Guillermo del Toro Gives Hobbit Update". Coming Soon. Retrieved 25 November 2008. ^ a b del Toro, Guillermo (16 November 2008). "I promise to give you news" (forums). The One Ring net. Retrieved 25 November 2008. ^ a b c Hewitt, Chris (June 2009). "The Two Towers". Empire. pp. 137–40. ^ Cortez, Carl (9 July 2008). "Guillermo del Toro escapes 'Labyrinth' and ends right back into 'Hellboy'". iF Magazine. Archived from the original on 12 July 2008. Retrieved 14 July 2008. ^ a b c "Del Toro talks 'Hobbit' in Live Chat". Bilbo Hobbit. 27 November 2008. Archived from the original on 1 December 2008. Retrieved 29 November 2008. ^ a b c McNary, David ‘Dave’ (30 November 2009). "Jackson, del Toro Still Working on 'Hobbit' Scripts". Variety. ^ McNary, David ‘Dave’ (22 January 2010). "Leaner New Line ready for a tentpole again". Variety. Retrieved 12 February 2010. ^ Levine, Stuart (7 July 2008). "Exclusive: Guillermo del Toro on Hellboy II". Premiere. Archived from the original on 15 September 2008. Retrieved 8 July 2008. ^ Adler, Shawn (8 October 2008). "Guillermo Del Toro oo Fly Solo on Hobbit Directing Duties, Says No to Peter Jackson Assist". MTV Movies. MTV. Retrieved 8 October 2008. ^ a b Kolan, Patrick (19 August 2008). "Guillermo Talks The Hobbit's Effects". IGN. United Kingdom. Archived from the original on 25 August 2008. Retrieved 27 September 2008. ^ a b c d Utichi, Joe (11 July 2008). "Guillermo del Toro – RT's Dinner and the Movies Interview". Rotten Tomatoes. Retrieved 12 July 2008. ^ a b c Adler, Shawn (2 July 2008). "Guillermo Del Toro Answers 'Hobbit' Fans' Questions About Returning 'Rings' Cast, Religion And More". MTV. Retrieved 2 July 2008. ^ Adler, Shawn (2 July 2008). "Director Guillermo Del Toro Answers Your 'Hobbit' Questions" (blog). Movies. MTV. Retrieved 2 July 2008. ^ a b c Adler, Shawn (28 April 2008). "Guillermo Del Toro Addresses 'Hobbit' Fans' Concerns, Talks Possible Casting". MTV. Retrieved 30 April 2008. ^ Xoanon (20 October 2008). "Del Toro Interview Part 2: "This is the hardest movie I'll probably ever do!"". The One Ring net. Retrieved 20 October 2008. ^ "Ron Perlman Talks The Hobbit, Hong Kong Butterfly and More!" (interview). 1 December 2010. Retrieved 8 March 2012. ^ a b "Welcome to the 'Unexpected Party' chat... blog... log... thing". ^ "The Hobbit: Brian Blessed reveals casting discussions". My customer. Retrieved 13 November 2015. ^ Ayres, Chris (2 October 2010). "Guillermo del Toro, dark lord of Hollywood". The Times. UK. Retrieved 8 March 2012. ^ "'Hobbit' Fans Have Long Road to Final Release". 30 June 2008. Retrieved 8 March 2012. ^ "Sylvester McCoy Talks Radagast Casting (Besides Other Hobbit Stuff)". The One Ring net. 6 May 2011. Retrieved 8 March 2012. ^ Ashurst, Sam (27 October 2010). "Del Toro backs Martin Freeman". Total Film. Retrieved 8 March 2012. ^ THR Staff (13 December 2012). "THR's Producer Roundtable: What Would Guillermo del Toro's 'Hobbit' Have Looked Like? (Video)". hollywoodreporter.com. Retrieved 16 December 2012. ^ The Deadline Team (31 December 2012). "OSCARS: The Road To 'The Hobbit: An Unexpected Journey'". Deadline Hollywood. Retrieved 2 February 2013. ^ "Guillermo del Toro on Splice" (interview). Shock Till You Drop. 28 May 2010. Archived from the original on 30 May 2010. Retrieved 29 May 2010. ^ Lesnick, Silas (28 May 2010). "Guillermo del Toro Confirms Hobbit Delay". Coming Soon. Retrieved 29 May 2010. ^ "Guillermo Del Toro departs "The Hobbit"". The One Ring net. 30 May 2010. Retrieved 31 May 2010. ^ Vary, Adam (31 May 2010). "Why Guillermo del Toro left 'The Hobbit' – and Peter Jackson will not replace him as director". Entertainment Weekly. Retrieved 31 May 2010. ^ "MGM and WB Want Jackson for the Hobbit". The Film Stage. 14 June 2010. Archived from the original on 20 August 2010. Retrieved 14 June 2010. ^ "Guillermo del Toro opens up on 'The Hobbit': 'It wasn't just MGM'". Los Angeles Times. 27 July 2010. Retrieved 18 February 2011. ^ "Peter Jackson in Negotiations to Direct The Hobbit Films!". Coming Soon. 25 June 2010. Retrieved 28 October 2010. ^ Cardy, Thomas ‘Tom’ (16 October 2010). "Peter Jackson to direct The Hobbit in 3-D". The Dominion Post. Archived from the original on 7 February 2011. Retrieved 27 October 2010. ^ "'The Hobbit' Gets Its Greenlight, With Jackson Directing". The Wrap. 16 October 2010. Retrieved 16 October 2010. ^ Hurley, Bevan (17 October 2010). "Jackson casts his net worldwide for Hobbit cast". The New Zealand Herald News. Retrieved 28 October 2010. ^ "FIA Do Not Work Order: 'The Hobbit'". American Federation of Television and Radio Artists. 24 September 2010. Archived from the original on 3 December 2010. Retrieved 22 December 2014. ^ a b Leitch, Will (27 September 2010). "Movie Talk: Peter Jackson Running Into Union Trouble on 'The Hobbit'". Movies. Yahoo. Retrieved 29 October 2010. ^ "New Zealand's Hobbit crisis spurs national rallies". Reuters. 25 October 2010. Retrieved 25 October 2010. ^ Hutchison, Jonathan (27 October 2010). "New Zealand Reaches Deal to Keep 'Hobbit' at Home". The New York Times. ^ "The Hobbit will be made in New Zealand, PM confirms". News. United Kingdom: BBC. 27 October 2010. Retrieved 27 October 2010. ^ Brooks, Xan (27 October 2010). "Hobbit deal costs New Zealand changes in labour laws and $25m tax break". The Guardian. London. Retrieved 27 October 2010. ^ "Price to keep Hobbit in NZ is extortionate". The New Zealand Herald (Editorial). 29 October 2010. Retrieved 15 May 2011. ^ "Hobbit files released". 3 News NZ. 26 February 2013. Archived from the original on 3 December 2013. Retrieved 28 February 2013. ^ "The Hobbit documents released: Jackson's frustrations revealed". NZ Herald. 26 February 2013. ^ "Hobbit protest 'march of the patsies'". 3 News NZ. 27 February 2013. Archived from the original on 3 December 2013. Retrieved 28 February 2013. ^ "Warner Bros withheld Hobbit statement". 3 News NZ. 1 March 2013. Archived from the original on 3 December 2013. Retrieved 28 February 2013. ^ "Hobbit, Crown, Panther News". IGN. 14 November 2006. Retrieved 17 August 2007. ^ Vespe, Eric (8 October 2008). "Quint and Peter Jackson talk The Hobbit and a potential return to low budget horror!!!". Ain't It Cool News. Retrieved 8 October 2008. ^ "News of the Week". Sci Fi Weekly. 7 July 2008. Archived from the original on 22 August 2008. Retrieved 30 September 2008. ^ del Toro, Guillermo (26 May 2008). "2 centavos" (forum). The One Ring net. Retrieved 1 October 2008. ^ Ferrante, AC (12 November 2008). "Guillermo del Toro updates about The Hobbit status". iF Magazine. Archived from the original on 21 February 2009. Retrieved 12 November 2008. ^ del Toro, Guillermo (8 November 2008). "Hola". The One Ring net. Retrieved 25 November 2008. ^ Adler, Shawn (7 October 2008). "'Hobbit' Films Will Be One 'Continuous Journey,' Promises Guillermo Del Toro". Movies (blog). MTV. Archived from the original on 9 October 2008. Retrieved 8 October 2008. ^ Ditzian, Eric (5 June 2009). "Guillermo Del Toro Rules Out Directing 'Hobbit' Bridge Film". Movies (blog). MTV. Archived from the original on 8 June 2009. Retrieved 8 June 2009. ^ a b McClintock, Pamela (31 August 2012). "Third 'Hobbit' Film Sets Release Date". The Hollywood Reporter. Retrieved 31 August 2012. ^ Skipper, Ben (24 April 2014). "Hobbit Third Movie Renamed The Hobbit: The Battle of the Five Armies". International Business Times UK. Retrieved 24 April 2014. ^ Gunner, Shaun (28 April 2014). "The Battle of the Five Armies is the right name for the third Hobbit film". The Tolkien Society. Retrieved 28 April 2014. ^ a b c Sibley, Brian (2013). The Hobbit: The Desolation of Smaug Official Movie Guide. Houghton Mifflin Harcourt. pp. 132–134. ISBN 978-0-547-89870-4. ^ "Martin Freeman Talks The Hobbit". Empire Online. 11 October 2010. Retrieved 30 April 2011. ^ a b "Martin Freeman to play Bilbo Baggins in The Hobbit". News. United Kingdom: BBC. 22 October 2010. Retrieved 24 October 2010. ^ "Exclusive: Graham 'Dwalin' McTavish Interview". TheOneRing.net. 9 December 2010. Retrieved 30 April 2011. ^ a b c Bodey, Michael (21 January 2010). "The Office's Martin Freeman as Bilbo Baggins leads Hobbit cast". The Australian. ^ a b Rottenberg, Josh (21 October 2010). "'The Hobbit': Martin Freeman to play Bilbo Baggins; other roles also cast". Entertainment Weekly. Retrieved 3 April 2011. ^ "Getting to know John Callen aka Óin". TheOneRing.net. 20 November 2010. Retrieved 1 May 2011. ^ "Exclusive: an interview with Stephen Hunter/Bombur". TheOneRing.net. 31 October 2010. Retrieved 1 May 2011. ^ a b c "James Nesbitt and Adam Brown Join The Hobbit". Crave. 1 November 2010. Retrieved 1 November 2010. ^ Speier, Michael (15 October 2010). "'The Hobbit' Finally Filming in February, But Peter Jackson & Actor Unions Still at Odds". Deadline Hollywood. Retrieved 16 October 2010. ^ "Hobbit role for Hungerford actor". Newbury Today. 4 November 2010. Archived from the original on 9 December 2010. Retrieved 1 May 2011. ^ a b c d "TORN Exclusive: Cate Blanchett, Ken Stott, Sylvester McCoy, Mikael Persbrandt join cast of Peter Jackson's 'The Hobbit'". TheOneRing.net. 7 December 2010. Retrieved 7 December 2010. ^ "Cowal Games Exclusive". Dunoon Observer. 28 August 2010. Retrieved 29 August 2010. ^ "Sylvester McCoy up for Radagast the Brown?". TheOneRing.net. 28 August 2010. Retrieved 29 August 2010. ^ Parkes, Diane (19 September 2008). "Who's that playing The Mikado?". Birmingham Mail. Retrieved 22 September 2008. ^ "Elijah Wood will be in 'The Hobbit' (and we know how!)". TheOneRing.net. 7 January 2011. Retrieved 7 January 2011. ^ "Ian McKellen and Andy Serkis join cast of The Hobbit". Total Film. Retrieved 28 November 2013. ^ a b Giardina, Carolyn (6 April 2011). "Gollum Actor Andy Serkis to Serve as Second Unit Director on 'The Hobbit' (Exclusive)". The Hollywood Reporter. Retrieved 1 May 2011. ^ Rappe, Elisabeth (13 July 2008). "Looks Like Christopher Lee Might Not Return to Middle-Earth". Cinematical. Retrieved 14 July 2008. ^ "Christopher Lee about possibly returning to Middle Earth". You tube. Google. Retrieved 23 December 2010. ^ a b "Andy Serkis Signed To Reprise Gollum In 'The Hobbit'". Deadline Hollywood. 10 January 2011. Retrieved 11 January 2011. ^ Reynolds, Simon (21 March 2011). "The Hobbit begins production in New Zealand". Digital Spy. Retrieved 29 March 2011. ^ McNary, David ‘Dave’ (4 April 2011). "'Conchords' star McKenzie an elf in 'The Hobbit'". Variety. Retrieved 4 April 2011. ^ "The Hobbit: Ian Holm is officially in as old Bilbo". Entertainment Weekly. 22 April 2011. Retrieved 22 April 2011. ^ Walker, Timothy ‘Tim’ (3 March 2011). "Sir Ian Holm left out in the cold as The Hobbit starts filming". London: The Telegraph. Retrieved 30 April 2011. ^ a b c Jackson, Peter (30 April 2011). "Casting news!". Facebook. Retrieved 30 April 2011. ^ Gonzalez, Sandra (2 May 2011). "Lee Pace cast in 'The Hobbit.' Our hopes for his comeback grow". Entertainment Weekly. Retrieved 2 May 2011. ^ Vary, Adam (24 April 2011). "'The Hobbit': Actor Rob Kazinsky, cast as dwarf Fili, drops out of movie". Entertainment Weekly. Retrieved 24 April 2011. ^ "Kiwi actor steps into Hobbit breach". The Dominion Post. 2 May 2011. Retrieved 2 May 2011. ^ Papamichael, Stella (16 December 2011). "'Sherlock Holmes's Stephen Fry: 'I ate testicles for The Hobbit'". Digital Spy. Retrieved 27 December 2011. ^ "Orlando Bloom Says It's A Good 'Bet' He'll Be In 'The Hobbit'". MTV. 25 April 2011. Retrieved 30 April 2011. ^ "PJ Confirms Evans and Cumberbatch, Announces 'Lost''s Evangeline Lilly and Barry Humphries". TheOneRing.net. 19 June 2011. Retrieved 19 June 2011. ^ Fleming, Mike, Jr. (June 2011). "Benedict Cumberbatch to voice Smaug in The Hobbit". Deadline. Retrieved 26 November 2012. ^ "Billy Connolly joins The Hobbit cast". NZ: Weta. 9 February 2012. Archived from the original on 12 February 2012. Retrieved 9 February 2012. ^ "'Analysing Billy Connolly's Dain Ironfoot'". TheOneRing.net. 18 June 2012. Retrieved 20 June 2012. ^ Connelly, Brendan (14 December 2011). "Exactly One Year Before The Hobbit Opens, The Official Blurb Is Unveiled". Bleeding Cool. Retrieved 14 December 2011. ^ "John Bell discusses his role in 'A shine of rainbows' available now on DVD". Hollywood Teen 'Zine. 14 December 2011. Archived from the original on 11 January 2012. Retrieved 14 December 2011. ^ a b "The Hobbit: an unexpected hourney". Karen Kay Management. Archived from the original on 20 January 2014. ^ "Cast & Crew". The Hollywood Reporter. Retrieved 12 December 2012. ^ Masters, Kim (20 October 2012). "Stephen Colbert to Make Cameo in 'The Hobbit'". The Hollywood Reporter. Retrieved 20 October 2012. ^ Bulbeck, Pip (20 March 2011). "'Hobbit' Filming Finally Under Way in New Zealand". The Hollywood Reporter. Archived from the original on 21 March 2011. Retrieved 21 March 2011. ^ Masters, Kim (17 October 2012). "'The Hobbit:' Inside Peter Jackson and Warner Bros.' $1 Billion Gamble". The Hollywood Reporter. Retrieved 17 October 2012. ^ a b "Hobbits at Pinewood". Pinewood Studios. Pinewood Shepperton Plc. 22 July 2011. Archived from the original on 2 October 2011. Retrieved 20 August 2011. ^ The Hobbit Team (21 July 2011). "Production Video No. 3". The Hobbit Blog. Retrieved 22 August 2011. ^ "The Hobbit Filming Resumes". Theonering.net. 23 August 2011. Retrieved 6 September 2012. ^ Zakarin, Jordan (6 July 2012). "'The Hobbit' Completes Filming, Peter Jackson Posts Facebook Message (Photo)". The Hollywood Reporter. Retrieved 17 October 2012. ^ "Confirmed: 'Hobbit' Filming Resumes Monday". 25 May 2013. Retrieved 25 May 2012. ^ Hamilton-Irvine, Gary (25 January 2012). "Taupo's rapid allure to hobbit". Rotorua Daily Post. Retrieved 29 November 2012. ^ Alan Wood. "Tourism hopes hang on The Hobbit". Stuff.co.nz. Retrieved 25 December 2012. ^ "'Rogue sightings' of Hobbits". Stuff.co.nz. 18 November 2011. Retrieved 25 December 2012. ^ "Ain't It Cool News: The best in movie, TV, DVD, and comic book news". Aintitcool.com. Retrieved 25 December 2012. ^ "Cutting room next stop for 'The Hobbit' | Otago Daily Times Online News : Otago, South Island, New Zealand & International News". Odt.co.nz. 9 July 2012. Retrieved 25 December 2012. ^ "The Hobbit — Production Diaries 6". YouTube. Retrieved 25 December 2012. ^ "New Zealand: Home of Middle Earth". YouTube. Retrieved 2 August 2013. ^ "Otago stars in new 'Hobbit' video | Otago Daily Times Online News : Otago, South Island, New Zealand & International News". Odt.co.nz. 30 December 2011. Retrieved 25 December 2012. ^ Anna Pearson. "Filming of The Hobbit in the Nelson region begins..." Stuff.co.nz. Retrieved 25 December 2012. ^ Meg Thompson (25 May 2012). "Bright lights over Miramar". Stuff.co.nz. Retrieved 25 December 2012. ^ "Hobbit Movie Set To Stay For 16 Extra Months". Stuff.co.nz. Retrieved 25 December 2012. ^ a b Have your say » Merania Karauria 10 November 2011 7:36 am (10 November 2011). "Tight security surrounds Hobbit". Wanganui Chronicle. Retrieved 25 December 2012. ^ Grant Bryant (10 November 2011). "The Hobbit's Wakatipu Location Taking Shape". Stuff.co.nz. Retrieved 25 December 2012. ^ Ian Allen. "Hobbits elude us, but we get to set". Stuff.co.nz. Retrieved 25 December 2012. ^ a b c Bray, Adam (21 May 2012). "Hanging out in Hobbiton: The Hobbit's stunning movie set". CNN Travel. CNN. Retrieved 25 December 2012. ^ '+relative_time(twitters[i].created_at)+' (14 November 2011). "The Hobbit Riddle in Otago | Middle-earth News". News.mymiddleearth.com. Retrieved 25 December 2012. ^ a b "Secrecy surrounds Hobbit filming | Otago Daily Times Online News : Otago, South Island, New Zealand & International News". Odt.co.nz. 1 December 2011. Retrieved 25 December 2012. ^ Carlyle, Erin (15 December 2012). "'The Hobbit' Director Peter Jackson: How Billionaire Jim Jannard Made The Film Possible". /Film. Retrieved 7 January 2012. ^ a b c "Production Video #4". The Hobbit Blog. The Hobbit Team. 5 November 2011. ^ Sciretta, Peter (11 April 2011). "Peter Jackson Explains Why He's Shooting 'The Hobbit' at 48 Frames Per Second". /Film. Retrieved 12 April 2011. ^ "The Hobbit: Unexpected Cruelty". PETA.org. Retrieved 25 December 2012. ^ "Hobbit Brouhaha: PETA Now Demanding New Zealand Government Probe Animal Abuse Allegations". E! Online. 27 November 2012. Retrieved 25 December 2012. ^ "'Hobbit' Animal Deaths: Up To 27 Die As Wranglers Blame Production Company". Huffingtonpost.com. 19 November 2012. Retrieved 25 December 2012. ^ "Peter Jackson Again Denies Animal Abuse Claim Before Hobbit Premiere". Deadline Hollywood. Retrieved 27 January 2014. ^ Child, Ben (23 November 2012). "Hobbit animal abuse claims: Warner Bros backs Peter Jackson". The Guardian. Retrieved 27 January 2014. ^ "On The Hobbit Recording Sessions & Doug Adams' Book "The Music Of The Hobbit Films"". TheOneRing.net. Retrieved 29 November 2013. ^ see music of the Hobbit film series. ^ "The Hobbit: An Unexpected Journey – Extended Edition REVIEW". sfx.co.uk. Retrieved 29 November 2013. ^ alaricking.co.uk. "The Hobbit: An Unexpected Journey - clarasanabras.co.uk". clarasanabras.co.uk. ^ "Rising soprano in WASO ring quest". 18 June 2014. ^ "Behind the scenes of The Hobbit". Stuff.co.nz. Retrieved 12 November 2012. ^ "Here's How 'The Hobbit' Dragon Looks Without Visual Effects". Businessinsider. Retrieved 18 December 2014. ^ "Bringing The Battle of the Five Armies to the screen". Fxguide.com. Retrieved 15 January 2015. ^ "The Hobbit: Weta returns to Middle-earth". Fxguide.com. Retrieved 14 December 2012. ^ Bulbeck, Pip (6 June 2012). "New Zealanders to See 'The Hobbit: An Unexpected Journey' on Nov. 28". The Hollywood Reporter. Retrieved 24 September 2012. ^ Child, Ben (28 November 2012). "The Hobbit: An Unexpected Journey overcomes setbacks for premiere". Guardian UK. London. Retrieved 29 November 2012. ^ "100,000 expected at Hobbit premiere". 3 News NZ. 28 November 2012. ^ "THE HOBBIT – AN UNEXPECTED JOURNEY (12A)". British Board of Film Classification. 29 November 2012. Retrieved 29 November 2012. ^ "All Time Box Office". Retrieved 22 March 2013. ^ "The Hobbit Worldwide Release Dates". thehobbit.com. Retrieved 7 September 2013. ^ a b "2013 WORLDWIDE GROSSES". Retrieved 13 January 2017. ^ "The Hobbit Part 3 Release Delayed 5 Months, To Release December 17, 2014". Theonering.com. 1 March 2013. Retrieved 16 May 2014. ^ "The Hobbit: An Unexpected Journey - Box Office Data, DVD and Blu-ray Sales, Movie News, Cast and Crew Information". The Numbers. Retrieved 16 May 2014. ^ Kinder, Kyle. "The Hobbit: An Unexpected Journey Extended Edition DVD/Blu-ray review - Geek Magazine". Geekexchange.com. Archived from the original on 12 November 2013. Retrieved 16 May 2014. ^ "THE HOBBIT: THE DESOLATION OF SMAUG Blu-ray Details Revealed; Set for April 8th Release in the U.S." Collider. 18 February 2014. ^ Ben Skipper. "Hobbit Finale Renamed The Hobbit: The Battle of the Five Armies". International Business Times UK. ^ "The Hobbit: The Desolation of Smaug Blu-ray". Blu Ray.com. 2 November 2014. Retrieved 11 November 2014. ^ "JB Hi-Fi - Hobbit, The: The Motion Picture Trilogy 6 Blu-Ray/ Ultraviolet". ^ Nealey, Joshua. "'The Hobbit: The Battle of the Five Armies' DVD/Blu-ray release date, special features revealed". .hypable. Retrieved 16 March 2015. ^ "'The Hobbit: The Battle of the Five Armies' tops new DVD releases". thenewstribune. ^ "November 17, 2015: This Week on Blu-ray, DVD and Digital HD". Silas Lesnick. 2 November 2015. Retrieved 17 November 2015. ^ "Exclusive clip from The Hobbit: The Battle Of The Five Armies Extended Edition". James Dyer. 2 November 2015. Retrieved 11 November 2015. ^ "Blu-ray Review: The Hobbit: The Battle of the Five Armies - Extended Edition". Chaz Lipp. 23 November 2015. Retrieved 23 November 2015. ^ "An Unexpected Journey Box Office". Box Office Mojo. Retrieved 27 December 2012. ^ "The Desolation of Smaug Box Office". Box Office Mojo. Retrieved 5 January 2014. ^ "The Battle of the Five Armies Box Office". Box Office Mojo. Retrieved 12 January 2014. ^ "An Unexpected Journey". Rotten Tomatoes. Retrieved 29 October 2017. ^ "An Unexpected Journey: Reviews". Metacritic. Retrieved 9 December 2012. ^ McClintock, Pamela (16 December 2012). "Box Office Report: Peter Jackson's 'The Hobbit' Scores Record $84.8 Million Weekend". The Hollywood Reporter. Retrieved 16 December 2013. ^ "The Desolation of Smaug". Rotten Tomatoes. Retrieved 14 March 2018. ^ "The Desolation of Smaug: Reviews". Metacritic. Retrieved 16 December 2013. ^ Ford, Rebecca (15 December 2013). "Box Office: 'Hobbit: Desolation of Smaug' Wins Weekend With $73.7 Million in Domestic Debut". The Hollywood Reporter. Retrieved 20 December 2013. ^ "The Battle of the Five Armies reviews". Rotten Tomatoes. Retrieved 18 March 2018. ^ "The Battle of the Five Armies reviews". Metacritic. Retrieved 19 December 2014. ^ McClintock, Pamela (21 December 2014). "Box Office: 'Hobbit: Five Armies' Crushes 'Museum,' 'Annie' With $90.6M". The Hollywood Reporter. Retrieved 23 December 2014. ^ Gawin, Chris (6 January 2013). "The 6th Annual Houston Film Critics Society Awards list of winners". Examiner.com. ^ a b "VES Awards: 'Life Of Pi' Wins 4 Including Feature, 'Brave', 'Game Of Thrones' Other Big Winners". Deadline Hollywood. 5 February 2013. Retrieved 2 March 2013. ^ "Best Sci-Fi/Fantasy – The Hobbit an Unexpected Journey". Empire. Retrieved 26 March 2013. ^ "17th Annual ADG Award Winners Announced". Art Directors Guild. Archived from the original on 26 December 2013. Retrieved 2 March 2013. ^ "The 2012 WAFCA Awards". dcfilmcritics.com. 10 December 2012. Retrieved 2 March 2013. ^ "18th Critics' Choice Awards". Broadcast Film Critics Association. Retrieved 2 March 2013. ^ "Phoenix Film Critics Society 2012 Annual Awards". Phoenix Film Critics Society. Archived from the original on 28 January 2013. Retrieved 2 March 2012. ^ "Phoenix Film Critics Society 2012 Award Nominations". Phoenix Film Critics Society. Archived from the original on 12 February 2013. Retrieved 2 March 2013. ^ "CinemaCon 2012: Dim reaction to high-def look of Peter Jackson's 'The Hobbit'". Entertainment Weekly. 24 April 2012. Retrieved 26 April 2012. ^ "'Hobbit' preview divides CinemaCon auds". Variety. 24 April 2012. Retrieved 26 April 2012. ^ Child, Ben (25 April 2012). "The Hobbit: first glimpse gets mixed response". The Guardian. London. Retrieved 26 April 2012. ^ "Jackson responds to critics". News. United Kingdom: BBC. 29 April 2012. Retrieved 30 April 2012. ^ Travers, Peter (13 December 2012). "The Hobbit: An Unexpected Journey." RollingStone.com. Retrieved 11 February 2013. ^ Mondello, Bob (13 December 2012). "A 'Hobbit,' Off On His Unhurried Journey." NPR.org. Retrieved 11 February 2013. ^ "Examining criticisms of The Hobbit". 3 News NZ. 5 December 2012. ^ Fleming, Mike, Jr. (15 July 2012). "Comic-Con Q&A: Peter Jackson on His Return to Middle Earth with 'The Hobbit' and How 48 Frames Can Save Moviegoing". Deadline Hollywood. Archived from the original on 15 September 2012. Retrieved 6 September 2012. ^ Graser, Marc (6 October 2011). "WB hops on Bridge Direct", Variety. ^ "Warner Bros. Makes deal for The Hobbit Toys". Coming soon. 6 October 2011. Retrieved 7 November 2012. ^ "The Hobbit: An Unexpected Journey Action Figures". The fwoosh. 10 July 2012. Archived from the original on 4 February 2013. Retrieved 7 November 2012. ^ "Hobbit toys hit stores". TheOneRing.net. 24 September 2012. Retrieved 7 November 2012. ^ "Building Sets Based on Epic Film Trilogy and Forthcoming Theatrical Release Slated for 2012" (Press release). Lego. 16 December 2011. Retrieved 3 March 2012. ^ "Lord of the Rings game rights now at Warner Bros". Variety. 12 March 2009. Retrieved 15 February 2015. ^ Dumitrescu, Andrei (12 June 2009). "Hobbit Videogame Not Arriving Alongside Movie". Softpedia. Retrieved 27 March 2011. ^ Fritz, Ben (18 October 2011). "Warner's approach to video games is paying off". Los Angeles Times. Retrieved 19 October 2011. ^ Nunneley, Stephany (18 October 2011). "Report: Lego Batman 2, The Hobbit and DC Comic games releasing in 2012". VG247. Retrieved 19 October 2011. ^ Dean Takahashi (25 September 2012). "Kabam to make social and mobile games based on The Hobbit film". VentureBeat. Retrieved 26 July 2014. ^ Bill Stiteler (8 November 2012). "The Hobbit: Kingdoms of Middle Earth now out for iOS, Android". TechnologyTell. Retrieved 26 July 2014. ^ Stephany Nunneley (21 March 2013). "The Hobbit: Armies of the Third Age now available for browsers, Facebook". VG247. Retrieved 26 July 2014. ^ Larsen, Luke (25 November 2013). "LEGO Hobbit Game Confirmed for Spring 2014." IGN. Retrieved 26 September 2013. ^ "The Hobbit: The Tolkien Edit". ^ "FanEdit.org Lord of the Rings franchise data base". ^ "JRR Tolkien's The Hobbit by Maple Films". ^ "The Hobbit: Dwarfed Edition". ^ "The Hobbit: Ironfoot Edition". "The Hobbit (film series)". Tolkien Gateway.